Help the Hiker find a route across the River! Select a Challenge Card and place the tree stumps and planks on the Game Grid as indicated. 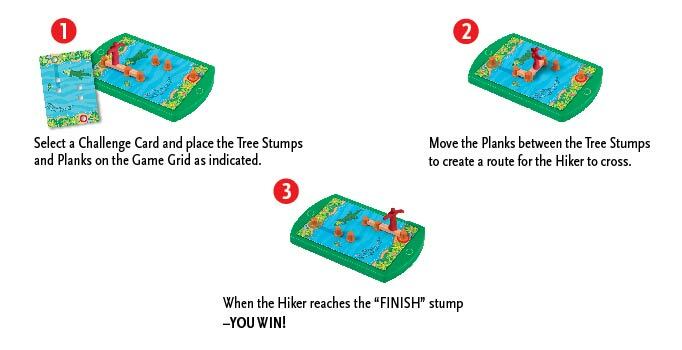 Move the planks between the tree stumps to create a route for the Hiker to cross. When the Hiker reaches the “FINISH” stump –YOU WIN!